The Lyonsdown curriculum is essentially divided into three phases. Namely, The Early Years Foundation Stage (Nursery 3+ and Reception 4+), Key Stage 1 (5 – 7 year olds) and Key Stage 2 (8 – 11 year olds) – the Upper School. EYFS and Key Stage 1 make up the Lower School. By means of appropriate development activities and adult support, the Early Years Foundation Stage curriculum leads to the acquisition of the Early Learning Goals and prepares children to progress with confidence towards the National Curriculum. 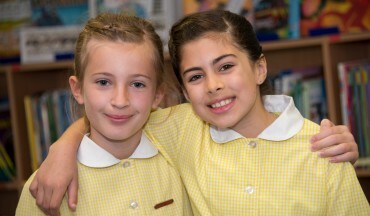 Years 1 and 2 provide a happy and caring environment in which the pupils are encouraged to develop and flourish. 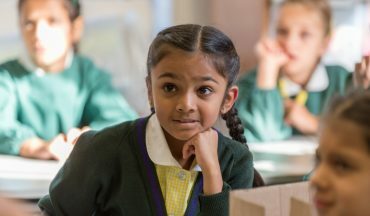 The National Curriculum is followed and enriched, with an emphasis on speaking, reading and numeracy, alongside the core subjects of English, mathematics, science and computing. Boys are prepared for entry into schools at 7+ which best suit their needs. From Year 3, the girls move between various subject rooms and teachers. 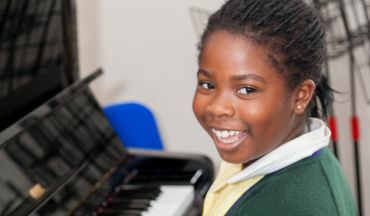 Through regular assessment, the girls are encouraged to become more independent and pro-active in their learning. During their final year at Lyonsdown, girls are prepared for senior school entry. 11+ examinations into state selective schools take place during the Autumn term of Year 6 and entrance examinations into independent senior schools at the beginning of the Spring term. Every effort is made to ensure that each girl is successfully placed within the correct school, so that she will be given the opportunity to make the most of her educational potential during her secondary education.